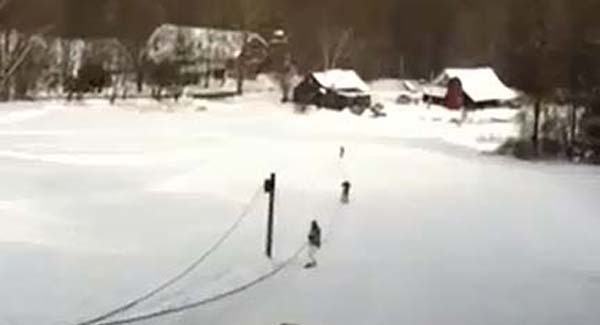 Located east of the Turners Falls Airport and south of the French King Bridge, the Waidlich Family Tow is a private rope tow operation. The Waidlich family's ski operation history likely dates back to the end of World War II, when Henry and Betty opened Crystal Notch Ski Area on Mineral Road. At its peak, the area featured three rope tows. Crystal Notch likely closed in the mid 1960s. At some point in the 1970s, their son Jon Waidlich moved one of the rope tows to a slope further down the road. Waidlich continues to operate the tow sporadically for friends and family when natural snow conditions allow.